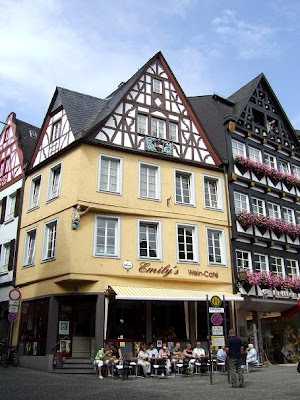 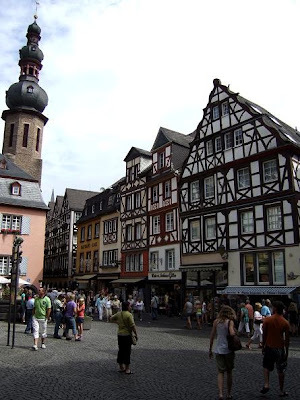 The Marketplace in Cochem is surrounded by beautiful half-timbered houses and the Baroque styled Town Hall(1st photo) that was built in 1739. 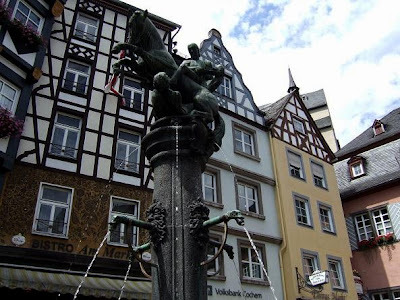 On the third photo you can see the Martin's Fountain with some colourful houses in the background. 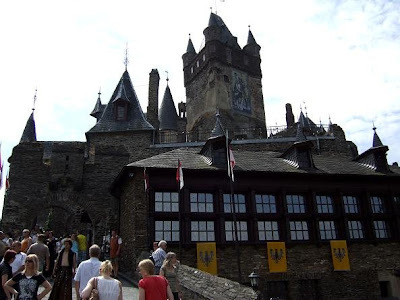 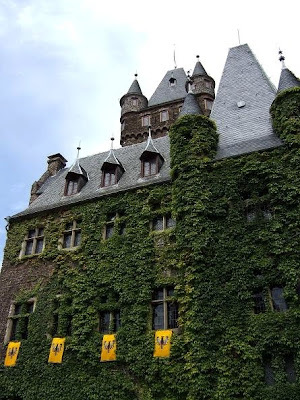 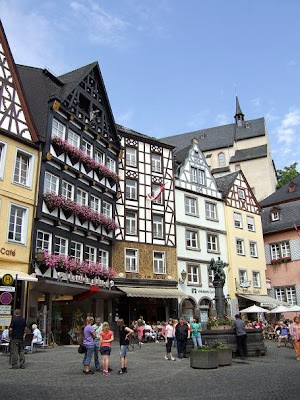 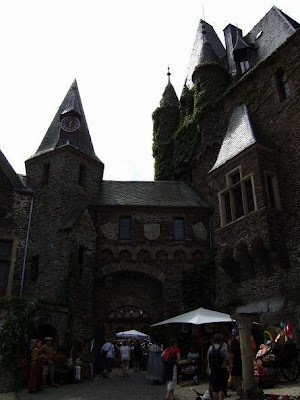 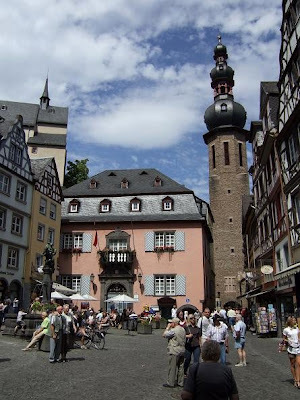 The Reichsburg is a popular tourist attraction in Cochem, in western Germany. 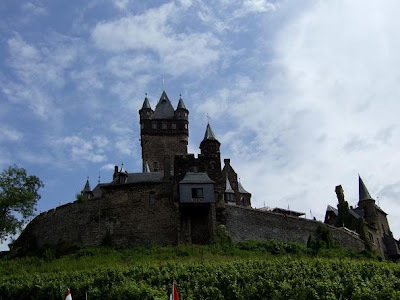 The castle was built around the year 1000 by the palatinate count Ezzo. 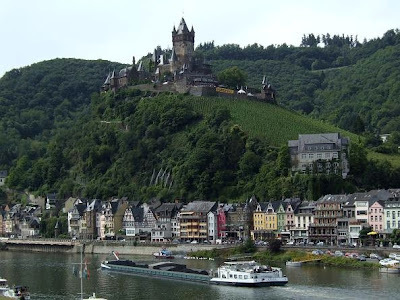 It is situated on higher ground overlooking the river Mosel. 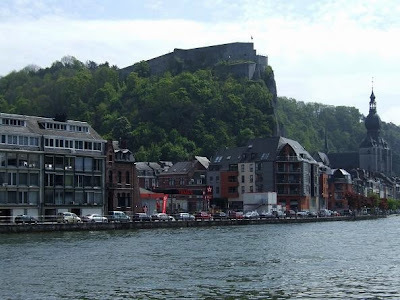 After Cochem was occupied by the French troops of Sun King Louis XIV, the castle was set on fire and blown up in 1689. 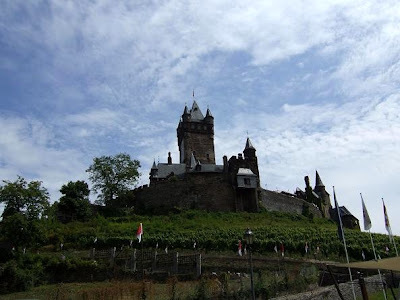 The ruins of the castle were bought by a Berlin business man in 1868 and the entire structure was rebuilt in Neo-Gothic style. 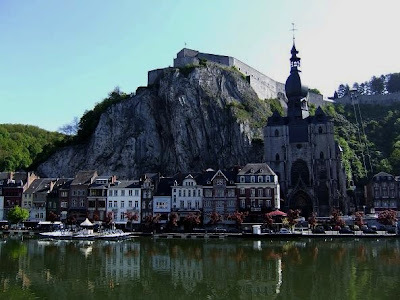 Today the castle is owned by the town Cochem and is run by "Reichsburg Cochem Ltd."
The Citadel of Dinant is located on a cliff, more than 100 metres above the River Meuse. 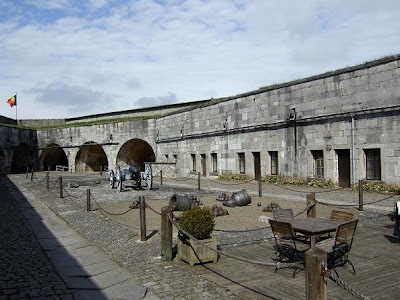 The Citadel was build in 1820 and replaced the ruins of the original fortification. 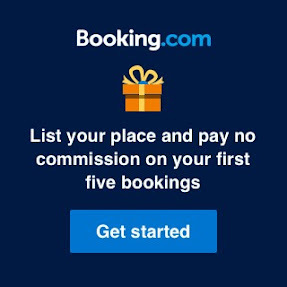 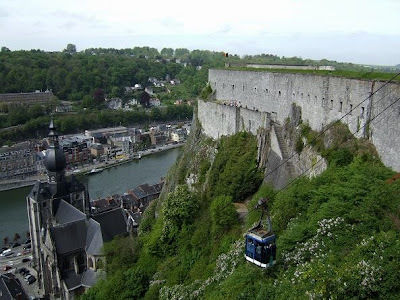 There are four ways up to it, including a route with 400 steps and a cabin cable railway. 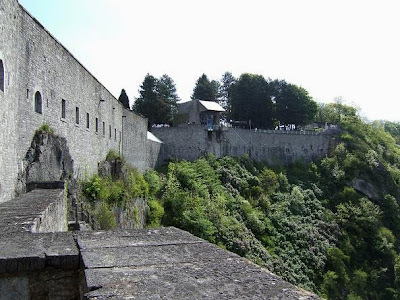 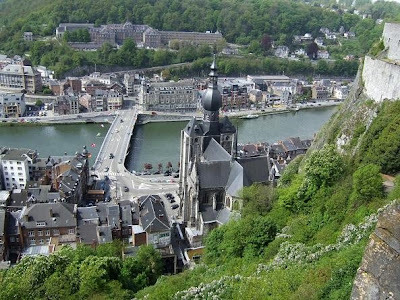 From the Citadel are beautiful views on Dinant and the Collegiate Church of Notre-Dame. 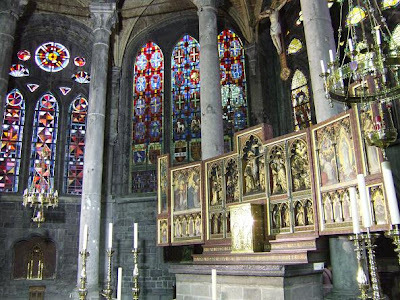 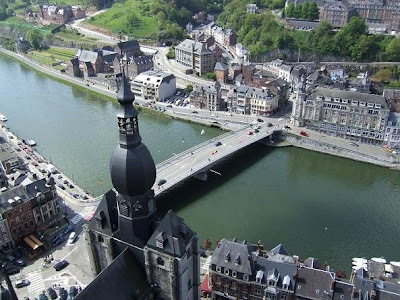 The Collegiate Church of Notre-Dame in Dinant was originally build in Romanesque style. 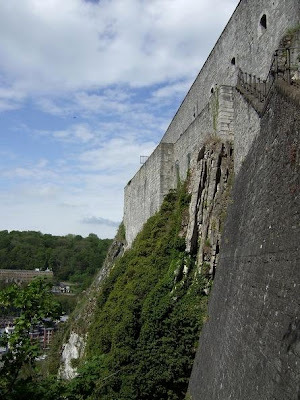 Falling rocks from the nearby cliffs destroyed it in 1227. 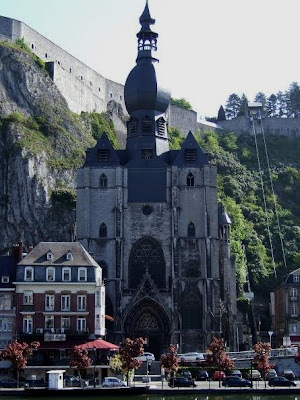 The building was partially reconstructed in Gothic style with limestone from Dinant, later the onion shaped bell tower was added. 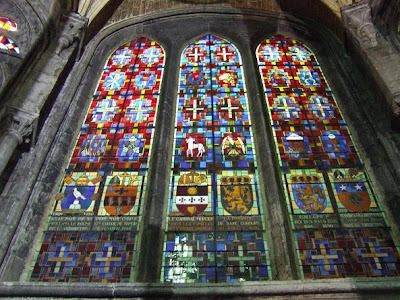 Inside the church you can see the beautiful stained glass, the large window made by Ladon is one of the largest in Europe. 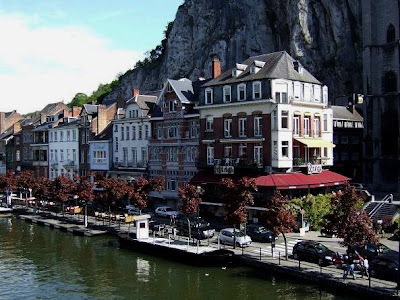 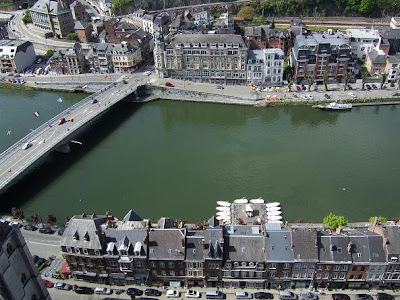 Dinant is a Belgian city, it is located on the River Meuse in the province of Namur. 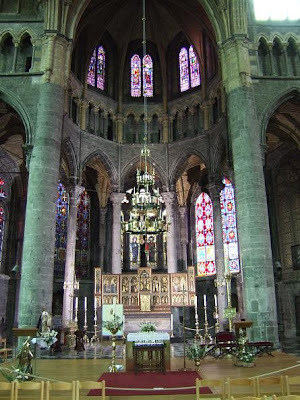 The city's main landmarks are the Collegiate Church of Notre-Dame and the Citadel. 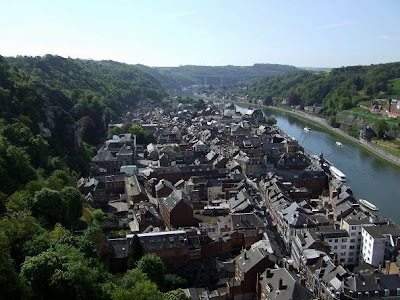 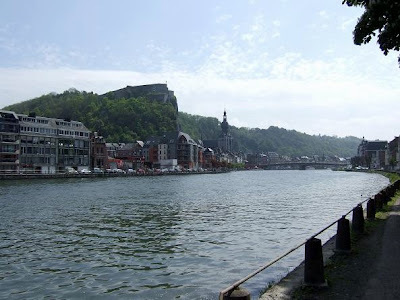 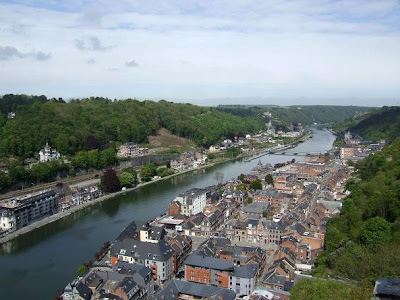 Dinant was also the hometown of Adolphe Sax, inventor of the saxophone.